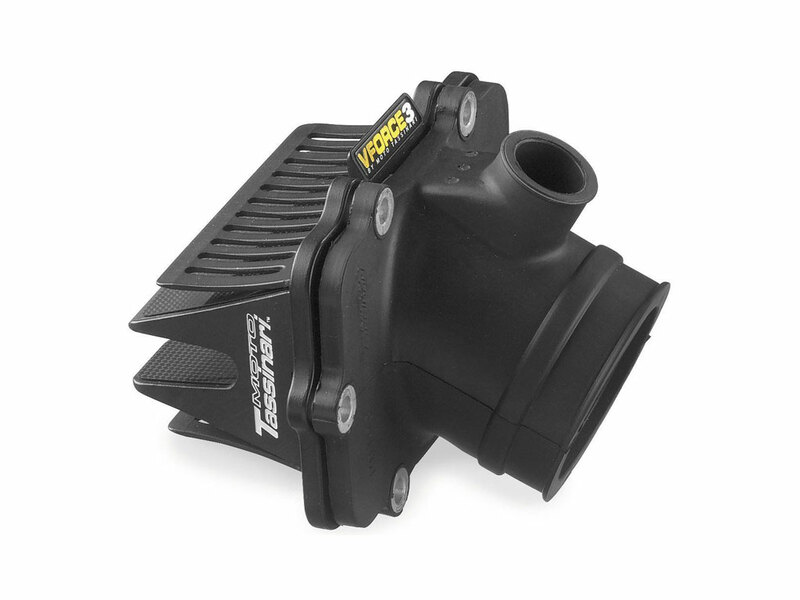 The VForce3 reed valve system by Moto Tassinari incorporates features you won’t find with other system on the market. With such features as twice the reed tip surface, radius cage surface and more. By doubling the reed tip surface (over a stock standard valve design) the petals now only need to open half as far to provide the same flow as a stock style cage. This is a significant advantage when you factor in that a reed petal opens and closes 133 times per second at 8,000 rpm. The petals are only traveling half the distance of a stock style cage, so now fatigue to the petal has been greatly reduced, increasing petal life. 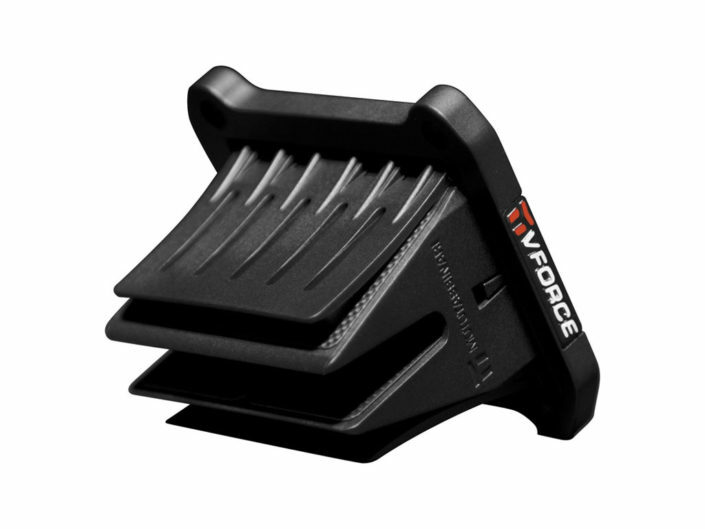 The all-new VForce4 is built upon the solid foundation that has made the VForce3 such a success for the last 10 years. 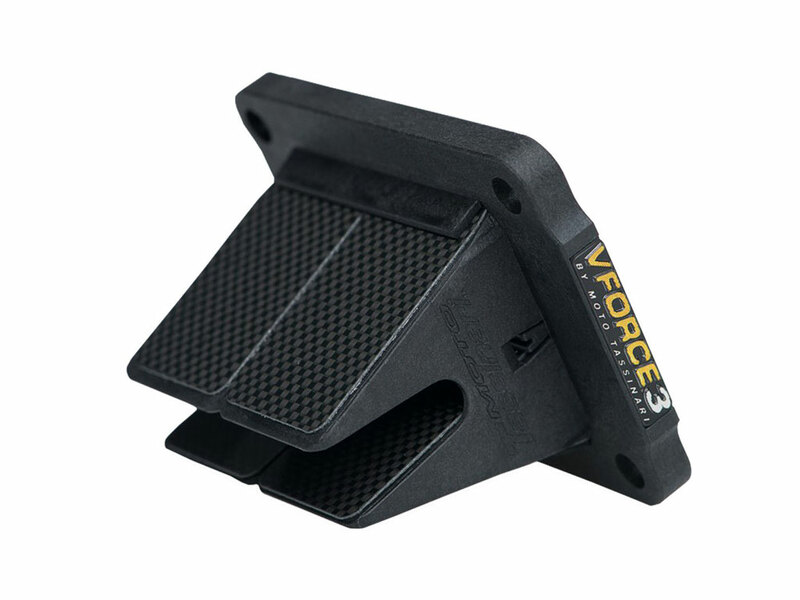 While the VForce3 has been continually refined over the years, this is a complete redesign of the entire system. We jokingly say, “The only thing we didn’t change is the bolt pattern.” However this is actually quite true. 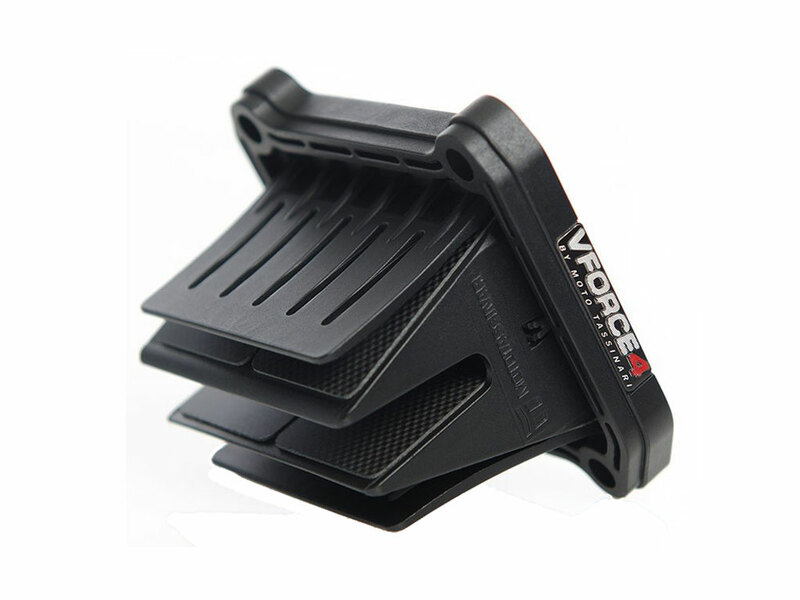 All the components that go into making a VForce reed valve system have been significantly changed since the VForce3.